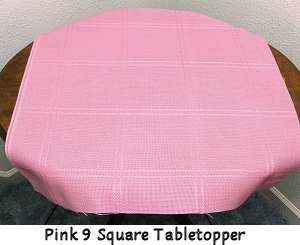 18ct Anne Cloth cut to size for the Dutch Treat Designs' "tabletoppers" (Doilys)designs. A 9- square cut ready for stitching and fringing/finishing. Stitch area is 5" square.